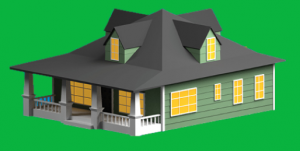 Purchasing a home, whether it be in the greater Orlando area, the coasts, or in South Florida is a huge investment and not one to be taken lightly. The house you choose to buy is more than just a house. It is your home, the place where you will raise your family, begin your career, enjoy your retirement. It needs to reflect your family; who you are and what you enjoy. 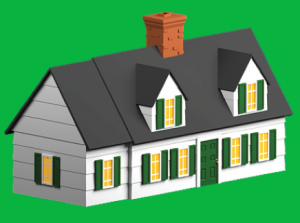 There are many styles of homes to choose from and each has its own unique characteristics. The style you choose depends on your tastes and preferences. It’s important to understand that some areas of Florida offer more of one style of a home than another. For instance, in South Florida, the Art Deco Style is very common. In northeast Florida, one is more apt to find the Tudor style home. The Cape Cod style is very popular in the Florida Keys while in central Florida one will find an abundance of Mediterranean, contemporary, and ranch style homes. In certain rural areas Block Homes are still in use. While this style of home is known for being beautiful as well as warm and cozy, they pose a real problem when it comes to reselling. 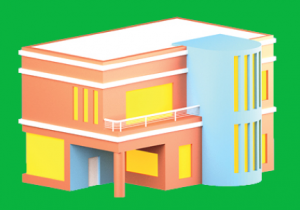 Financing is impossible most of the time because of the lack of comps available for the appraiser to use and therefore requires the transaction to be cash only. 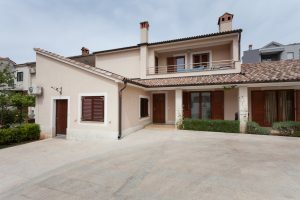 Let’s take a look at popular styles of homes you can choose from and what each home has to offer. 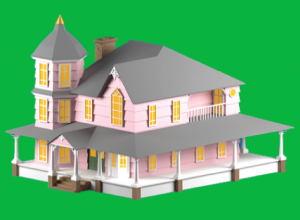 Almost everyone has heard of a ranch style home, but what does that mean exactly? Ranch style homes are one level homes with an open floor plan. They generally have an attached garage and a pitched roof. This style of home is typically asymmetrical and either designed in the shape of an “L” or a “U”. The exterior is constructed of wood or brick, and a sliding door leads to the backyard. Ranch style homes tend to have large picturesque windows. 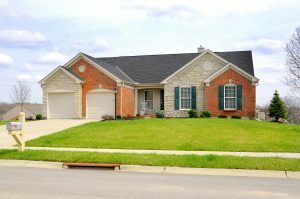 There is a variation of the ranch-style called a raised ranch home, in which as the name implies is more than one story. A cape cod style home is typically a two-story home, with a fireplace that leads to an attractive chimney. 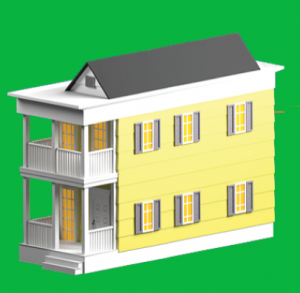 The roof is constructed at a steep angle and the windows have shutters installed. The exterior is either composed of brick or clapboard. When looking at the home from the front, one can expect to find symmetry, meaning that the front entry is centered. 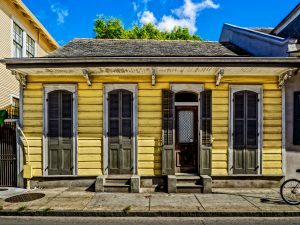 Shotgun houses are unique in design, in that they the layout is narrow and rectangular in shape. Rooms in the home lead from the front of the house to the back. They can either be single story homes or multiple levels. It is not uncommon for each level to have it’s own porch or balcony. 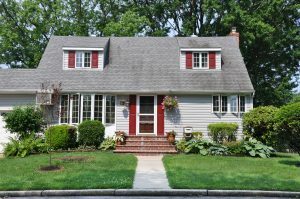 A bungalow style home is one story, low, broad home. 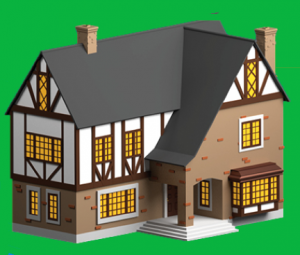 Defining characteristics include a large front porch, overhanging eaves, and a low gabled roof. One can also expect to find beautifully tapered columns. The interior of a bungalow home typically consists of built-in furniture such as bookshelves, fireplaces, or exposed beams. The exterior will be constructed of wood, stucco, or stone. 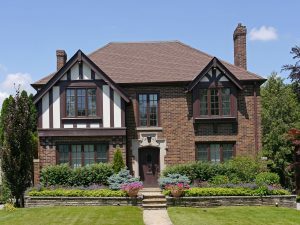 The much sought after Tudor style home has many defining characteristics. 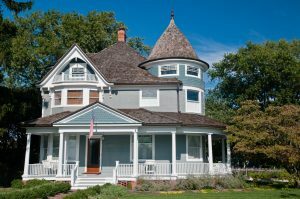 When looking at this particular style, expect to find that the homes will be two-story with a steep gabled roof and sturdy chimneys. The exterior will be constructed of brick or stone with timber framing and large casement windows. The front door is typically beautifully embellished and chock full of character and detail. 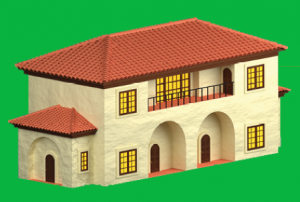 Art Deco homes are defined by being brightly colored with stucco walls. 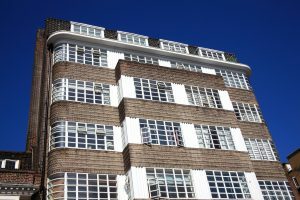 Enjoy the geometric details that come with the style of home, and unlike the other styles previously discussed, Art Deco homes have flat roofs. Art Deco relies on bold designs, vibrant colors, and clean lines. Mediterranean homes are one of a kind. They are defined by a stucco constructed exterior and architecturally beautiful arches. Mediterranean homes have characteristic terraces and balconies, open floor plans, and high ceilings. Large outdoor spaces for entertaining family and friends is common to this style of home. Victorian homes are asymmetric and either two or three stories. One can expect to find unique stairs, towers, and turrets. Elaborate brackets and patterned shingles adorn the exterior. Large wrap around porches are also characteristic of the Victorian style home. Decorative trim will be found throughout this style of home as well as large bay windows and commonly stained glass. 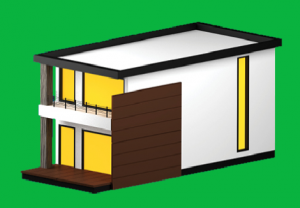 Contemporary homes are known for being energy efficient. The exterior is constructed of mixed stone, brick, and wood. The homes are built of sustainable materials, and have exposed outdoor beams with tall windows, and blended living spaces. Functionality is important to the design of contemporary homes. The layout is generally an open floor plan that lets in a great amount of light. Floor to ceiling windows is commonly seen throughout the home, as well as simple lines. Often times this style home incorporates a much sought after industrial feel. 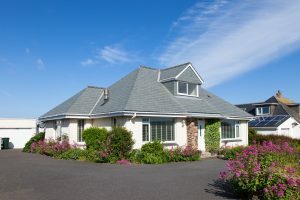 There are many different styles of homes to choose from. 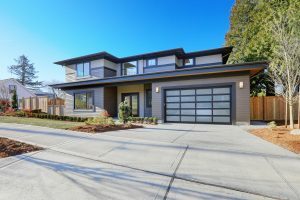 Understanding the common characteristics of the different styles of home can help narrow down your home search to the style of homes that fit your personality, tastes, and lifestyle!